Knowing thyself and knowing others is a key component to leader and team effectiveness. The Matrix Leadership Development system employed by Scott Savage Consulting integrates the leading assessment indicators for a total picture of strengths and development opportunities. It is a self-directed system that helps leaders gain self-insight and build on strengths. Gone are the old-fashioned judgmental performance review processes that do more to tear people down than build them up. Emotional Intelligence – EQ or Emotional Intelligence is an important component of effective leadership and involves skills that can be better developed. Personality Type – Employing the system of understanding personality differences developed by Carl Jung and popularized by Isabel Myers and Kathryn Briggs as the world’s most widely used and appreciated personal development tool (MBTI™ or Myers-Briggs*). Interaction Styles – In business and organizations, individual personalities don’t operate in a vacuum. They must work well with others for success. Interaction style is a relevant component in both self-assessment and in the team relationship. 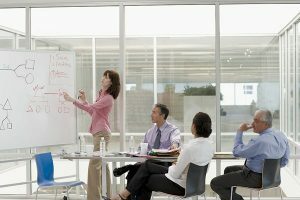 Essential Motivators – In gaining greater self-understanding it is important to make visible what are a person’s key needs and values that drive behavior. Performance Five – Mainstream psychology has given wide acceptance to the importance of five critical personality traits. Because of this consensus, it is important to include insights from a Big Five assessment instrument into the overall picture. Assessment is only the beginning. In addition to integrating effective assessment tools into a comprehensive picture, the Matrix system provides planning tools and focused solutions based on the assessment information. The entire system is Internet and technology based. Each enrolled leader has a unique online portal into the Matrix system where assessments can be taken, developmental plans outlined, and suggested solutions and action plans customized to the individual’s assessment results. The system is self-directed in that the particular development program and the pace of implementation of that program is directed by the enrolled leader, not by an external source. Supporting this system is access to an experienced leadership coach. 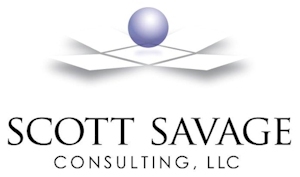 Your Matrix System Coach: Scott Savage. While the Matrix system is designed as a highly interactive self-driving system, there is an important role for effective coach and consultant who understands the Matrix system and has a keen knowledge of leadership and team effectiveness. Scott will help the organization determine the most appropriate level of use of the Matrix system for the organization’s needs. He will also coach individual enrollees in both the technical aspects of using the system and do one-on-one coaching on interpreting particular assessment indicators and addressing individual growth concerns. The Matrix system is incredibly integrated and powerful, but it also needs to be supported by an experienced development expert like Scott Savage. Experience and Background. The Matrix Leadership Development System was developed under the guidance of Roger Pearman, an internationally known expert on the Myers-Briggs Type Indicator (MBTI) and winner of the Myers Research and McCaulley Contribution awards. Roger also has extensive experience with other assessment instruments such as EQ-ir, EQ-360r, Strong Interest Inventoryr, FIRO-Br, CPI 260r, and Lominger Korn-Ferry Voices. Other Matrix co-founders include Linda Berens and Dario Nardi, both recognized pioneers in bringing insights from understanding personality differences into helping individuals and organizations succeed. Scott Savage has trained with both Roger Pearman and Linda Berens and has worked as a colleague of Roger, Linda, and Dario for over x years. He has expertise in using the individual assessment tools that input into the Matrix process and is trained and experienced in using the Matrix system itself. * While the Matrix system draws upon the insights of experience with the MBTI assessment, it is a unique indicator and assessment. Myers Briggs and the MBTI are trademarks or registered trademarks of The Myers & Briggs Foundation in the United States and other countries.